Founding Partner R. Scott Long is a highly competitive litigator with the ability to relate to clients and juries alike. He and David K. Hendrickson started Hendrickson & Long, PLLC over 20 years ago. Their mutual goal was to establish a litigation boutique firm consisting of attorneys with true trial experience who are driven to obtain superior client results. 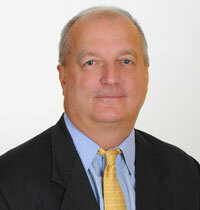 Throughout his extensive career, Scott has developed a reputation as a go-to civil litigator in West Virginia (WV). His primary practice areas include personal injury, wrongful death, medical malpractice, product liability, class action, and toxic tort cases, including asbestos defense. Scott briefed and argued Bower v. Westinghouse Electric Corp., a notable WV case involving medical monitoring. Scott serves both plaintiffs and defendants in his broad-based litigation practice, from individuals and privately held entities to Fortune 100 companies. Scott is also an astute mediator and a proud member of the WV Chapter of the National Academy of Distinguished Neutrals. The Academy is the premier association for experienced civil alternative dispute resolution practitioners. His experience as a litigator has made him a sought-after mediator by both the plaintiff and defense bars. While attending the West Virginia University College of Law, Scott was a senior editor of West Virginia Law Review and senior editor of the National Coal Issue. Scott’s ability to obtain superior results for his clients has been recognized by several national publications including Chambers, USA; Best Lawyers in America©; Super Lawyers; and Litigation Magazine in the area of Corporate Litigation. Outside the office, Scott enjoys spending time with his family, hiking, and coaching youth basketball. Scott has served as the Director of the WV Wildcats Select AAU Basketball Program for over 20 years, and he formerly served for several years as a Member of the Board of Trustees of the University of Charleston. Scott enjoys working with kids who aspire to play college basketball.